Use our search facility to hunt down the best prices for camper van and motorhome holiday hire in Essex. If there is an amazing camper van or motor home hire deal on offer in Essex, here is where you will find it! 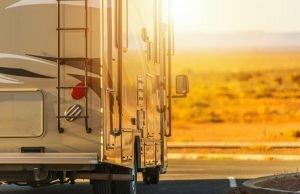 This search service is operated by one of the world’s most experienced motorhome booking agents who book thousands of motorhome holidays each year! Essex is a county located north-east of London, bordering Suffolk, Cambridgeshire, Hertfordshire, Kent (via the Thames Estuary) and London. Once ruled by the the Iceni tribe and their famous queen, Boudicca, it is part of the larger ancient Kingdom of Essex, which eventually united with the other Anglian and Saxon kingdoms to make a single nation state – England. The county town is Chelmsford, once a Roman settlement – as was the other main town, Colchester. The county also has many attractive rural areas, a coastline, which incorporates the north side of the Thames Estuary, London Stansted Airport and a wealth of places of historical and special interest to visit, all of which are easily accessible through hiring a campervan or motorhome in Essex. Hiring a campervan or motorhome in Essex puts you in charge of your own destiny whilst on holiday. You can choose to base yourself at a campsite, returning each night to the facilities and meeting with other campervan holiday makers to share your adventures, or move around each day and discover somewhere new! 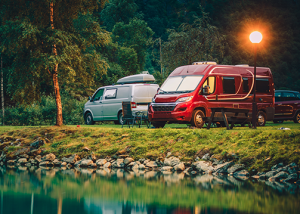 Hiring a camper van or motorhome in Essex also means that you’ve got everything you need on board with you, and many of them allow dogs so your four legged friend can enjoy a holiday too. Wherever you go, you’ll have somewhere cosy to sleep and as the budget for fuel is in your hands, you decide how far you want to travel. 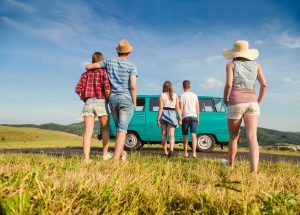 Thanks to Campervanhire.com, motorhome hire in Essex is so easy, and it means you get to plan your own schedule – or change it whenever you want. You get up when you want and you eat when you want. There isn’t the checking in and checking out times that restrict you if you stay in a hotel and if you don’t want to eat breakfast by 9am because the hotel restaurant closes at that time, then you don’t have to. You will be warm and dry so that means on sunny days you can park somewhere and head off to explore or, if the weather takes a turn for the worse, you can still find a nice spot and enjoy the scenery from the comfort of your campervan. Essex offers a wide range of attractions and places of interest. During the medieval period, much of the county was designated as Royal Forest. There are still areas of ancient woodland and nature reserves in the county, much of which straddles the Essex border and into the Greater London Borough area, including Epping, Hainault and Hatfield. These are all fantastic for keen walkers and especially for any doggy companions – and when you’ve finished walking, it’s back to your hired campervan for a cuppa! There are quaint villages to explore too, some with unusual names such as Saffron Walden, named for the fact that it once grew thousands of crocuses in order to produce saffron, the sought-after (and very pricey) spice used in cooking and traditional medicines. Essex also boasts a coastline of over 350 miles, with marshlands, beaches and creeks – once the haunt of smugglers but now home to wintering birds. The Essex coast and Thames Estuary is rich in wildlife and dotted with historic castles. Treat yourself to world class seafood and explore resorts such as Clacton-on-Sea and Southend-in-Sea. Hiring a campervan in Essex gives you access to a choice of historic houses, including Audley End House with its spectacular gardens, originally designed by Capability Brown, Hylands House, Layer Marney Tower and Ingatestone Hall. With one of the mildest climates and the least rainfall in England, there is also plenty for garden lovers to explore, including the RHS Garden Hyde Hall and the internationally acclaimed Beth Chatto Garden. Essex’s history has been shaped by Romans, Saxons, Vikings and Normans so you will find evidence of all of these dotted around the county and in the superb Colchester Castle Museum, with its displays and hands-on activities. Boudicca, the warrior queen of the Iceni, led a revolt against the Romans, burning Colchester (then the capital of Roman Britain at the time) to the ground. The museum itself was built on the site of the Temple of Claudius, destroyed by Boudicca, who is still celebrated in the town and who also has a statue outside the Houses of Parliament in London. There are outdoor pursuits in abundance, all of which can be enjoyed by the whole family. From horse riding in Epping Forest to white water rafting at Lee Valley White Water Centre, the London 2012 venue where the rapids challenged the world’s best athletes. You can also get your sea legs as there is plenty of sailing along the coast and boat trips from Maldon Quay (including a rather tempting lunch cruise on a traditional river sailing barge), and for those who love fishing there’s a choice of lake and coastal spots. Whatever you choose to do, you can make the most of every day, knowing that you’ll have your own ‘home from home’ rented campervan to relax in after a busy day. 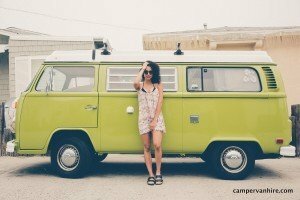 Campervans and festivals go hand in hand – so hire a campervan in Essex and join in the fun! The Essex Festival of Food and Drink is held every year and includes cookery demonstrations with well known chefs, live music, talks and kids’ activities. This is a fantastic foodie event for all the family. Other annual events include the Tendring Hundred Show, Essex’s premier agricultural event. Further details about events in Essex can be found via Visit Essex. 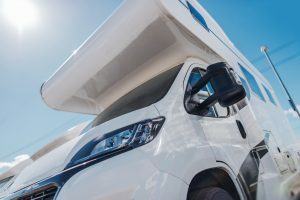 Additionally, Essex’s convenient proximity to London means that you can park your campervan at a local railway station and treat yourself to a day out in the nation’s capital city, where there are hundreds of events and activities every day. 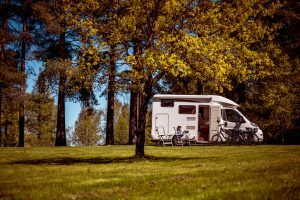 Travelling by camper van, RV or motorhome in Essex is exciting for kids too – and there’s lots to do along the way. There are three steam railways, Colne Valley, Mangapps and Epping Ongar, which offers a range of activities for kids at various times throughout the year. Visit Colchester Zoo, with over 260 animal species or take a stroll around the Royal Gunpowder Mills. 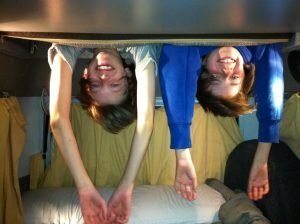 Discover the secrets of Kelvedon Hatch Nuclear Bunker and splash out at Promenade Park, with its play areas and kids’ activities. Old MacDonald’s Farm is home to a range of farm animals, plus alpacas, deer, otters and owls. It also runs activities events throughout the year, in addition to having a selection of children’s rides.